Through a modern, science-based approach, Life you Love is the future of self-development. They partnered with Positive Psychology specialists to create personal wellness journeys designed specifically for you. 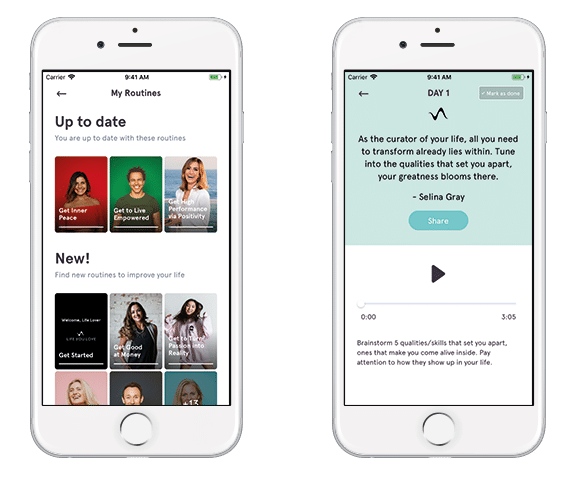 Through this app, you’ll be able to answer a few simple questions, receive in-app Daily Routines and eCourses you need to design a mindset for the Life You Love.